SC1127 Portion sizes poster - This A1 poster looks at the current issues with healthy eating and portion sizes. Photographs illustrate groups of food and ways to judge a healthy portion size using your hands. SC1126 Eatwell plate - The A1 Eatwell plate gives a visual image of the five main food groups. 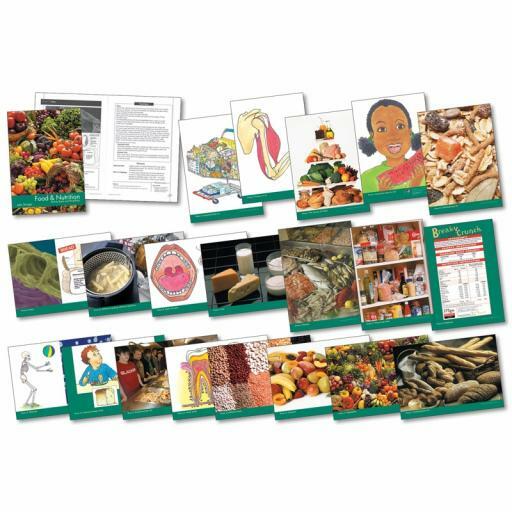 Text on the poster outlines the nutritional properties of each food group and current nutritional advice to eat healthy foods and keep to a healthy diet. 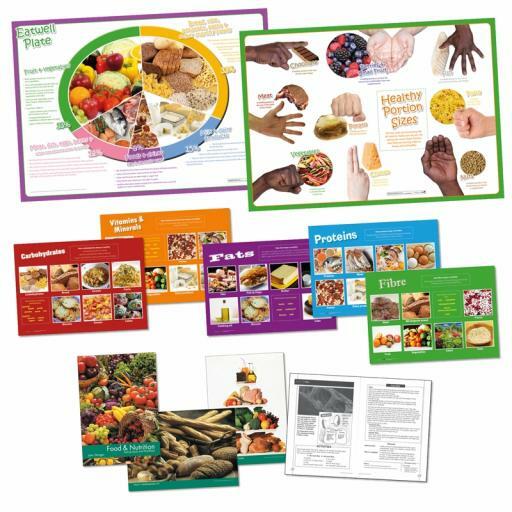 SC1129 Food groups poster set - A set of five A2 posters, each focusing on an individual food group. The posters show examples of foods in each group, along with information about their effects on the body and their nutritional value. SC1213 Food and nutrition photopack - 20 A4 laminated photographs and activity book designed to develop pupils' understanding of food and healthy eating, and to help them make informed decisions about what they eat. Includes information about different food groups and diets, preserving and packaging of food, cooking food and the effect food has on teeth.